The attention of all the Deputy Commissioners (CT) is invited to the subject cited. 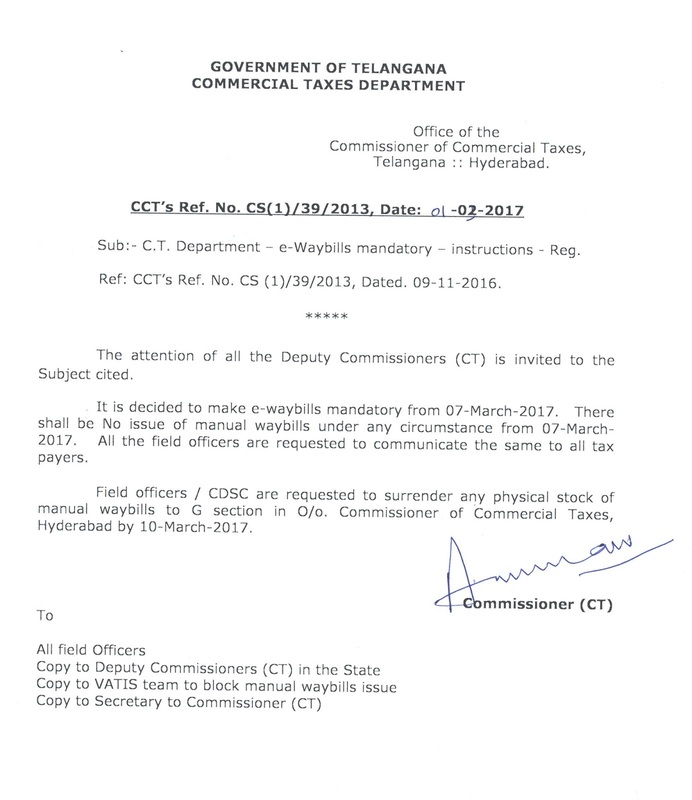 It is decided to make e waybills mandatory from 07 march 2017. There shall be no issue of manual waybills under any circumstance from 07 march 2017. All the field officers are requested to communicate the same to all tax payers. Field officers/CDSC are requested to surrender any physical stock of manual waybills to G section in O/o.Commissioner of Commercial Taxes, Hyderabad by 10 March 2017.